LeChar Beauty Spa Invites You! 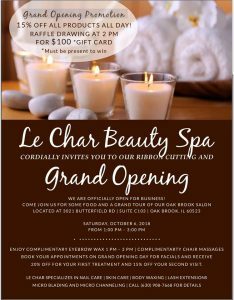 Join the newest Chamber Member, LeChar Beauty Spa for a Gran Opening and Ribbon Cutting Event! The public is welcome to attend!